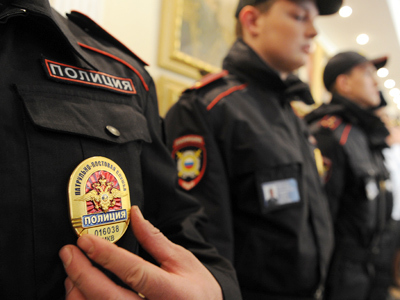 Dmitry Medvedev fired the head of the Main Police Directorate for St. Petersburg on Friday, but it required a crack police unit to make the police general leave his office. The president’s press service reported on Friday afternoon that Medvedev had signed an order relieving the head of the St. Petersburg police, Mikhail Sukhodolsky, of his duties. The report did not specify the particular reason behind the decree, but soon after an unnamed source in the Interior Ministry told the Interfax news agency that Sukhodolskiy’s sacking was a decision made some time ago and its late announcement was only due to bureaucratic reasons. It was also reported that a special commission of 30 Interior Ministry officers arrived in St. Petersburg on February 7 for a probe into the death of a 15-year old teenager after being questioned in one of the city’s police stations. General Sukhodolskiy resisted the probe, saying it might negatively affect the work of his directorate and even threaten the region’s stability during the presidential election in March. The general also did not show up at the Interior Ministry’s Friday collegiums, at which President Medvedev delivered a speech on the police reforms. Sukhodolskiy took sick leave for the day and said that doctors had strongly advised him not to travel. 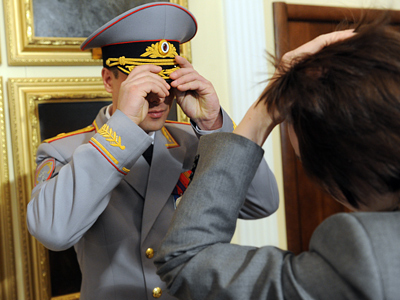 However, Sukhodolskiy was in his office on Friday when the news of his termination arrived. He also refused to leave his desk and it required a squad of crack police to persuade the general that he should go. In comments to the Interfax news agency, Sukhodolsky said he needed time to collect his things, while police officials accused him of obstructing the ministry’s work. In the evening Sukhodolskiy called a press conference and told the reporters that as a serviceman he will obey the order and go to Moscow to submit a request for vacation. He did not comment about the reasons behind his dismissal, saying only that it might be caused by the St. Petersburg weather. St. Petersburg Governor Georgiy Poltavchenko told the press on Friday that Sukhodolskiy’s sacking was an ordinary event. “If the President has made such decision then it is reasonable. This is an ordinary event in the Interior Ministry’s life, the heads of regions are changing and this is normal,” Poltavchenko said. The governor also told reporters that the news came as a surprise to him, to the same extent as it was for them. 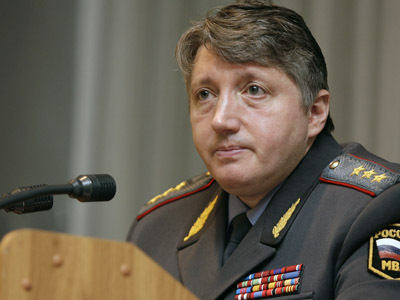 Mikhail Sukhodolskiy was appointed head of Interior Ministry Directorate for St. Petersburg in June 2011, replacing the previous head of the directorate who failed to pass the attestation in accordance with the police reform rules. Before the appointment Sukhodolskiy worked as first deputy Interior Minister in Moscow.